All moms can agree that the cold winter months make it harder to keep kids entertained. Any way we can get kids out of the house and burn off energy is a win…so all you moms will be happy to know that Kidapalooza is back for their second year, and it is even bigger and better than last year! 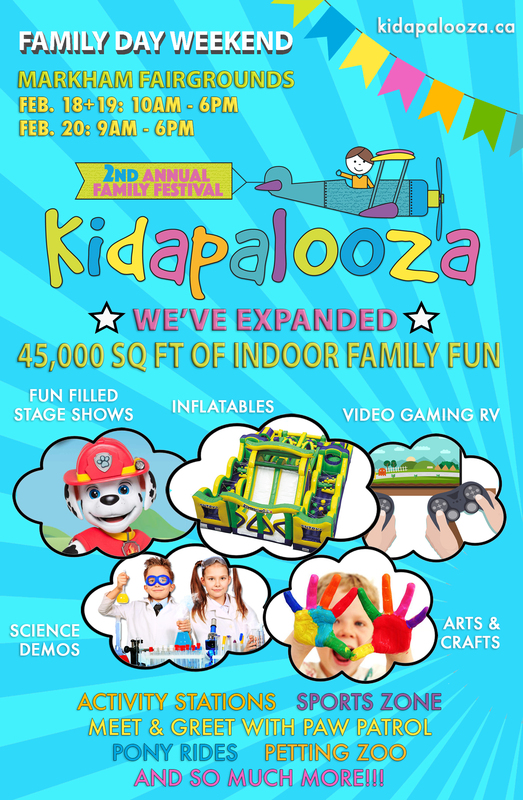 The 2nd annual Kidapalooza has expanded by over 15, 000 square feet, bringing it to over 45,000 square feet of pure fun. 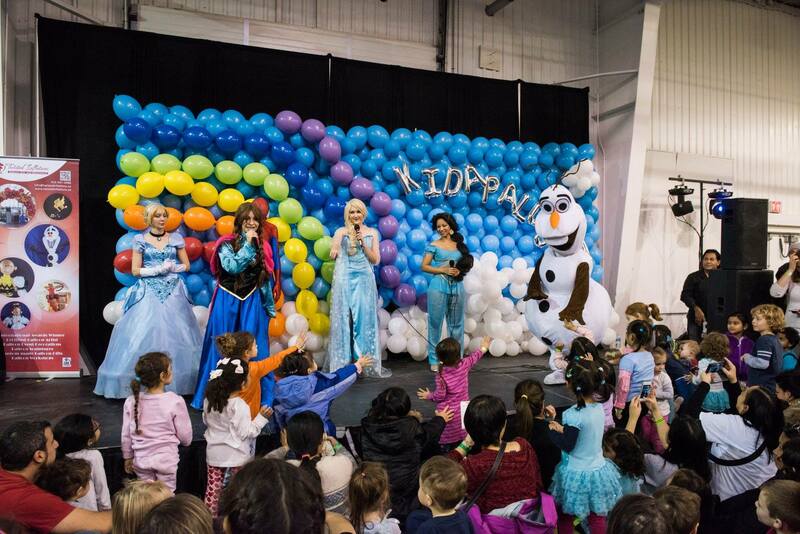 Kidapalooza will be taking place indoors at the Markham Fair Grounds on Family Day Weekend, February 18-20th, 2017. 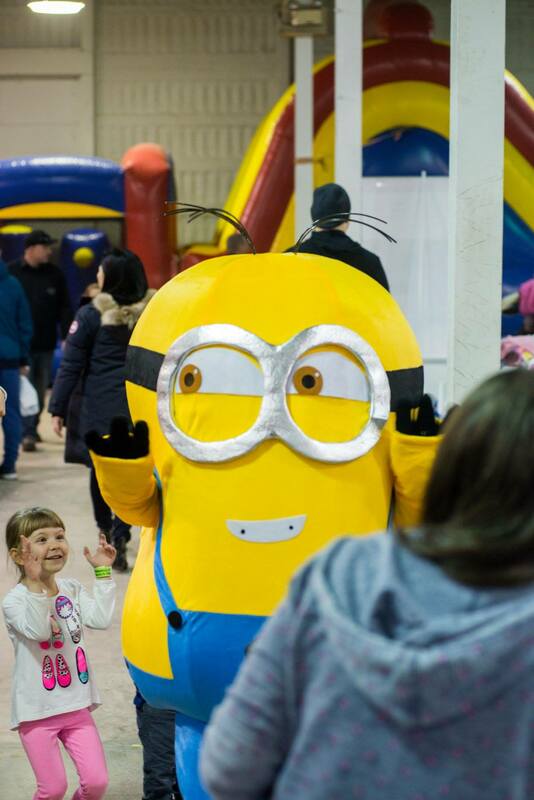 There will definitely be something for everyone at Kidapalooza – they will have activity stations, play zones (and have added more from last year), interactive inflatables, a performance stage, dance parties and vendors. It will give families the chance to create, explore, and play together. Check out the list of play zones – I am already planning my day with the family! 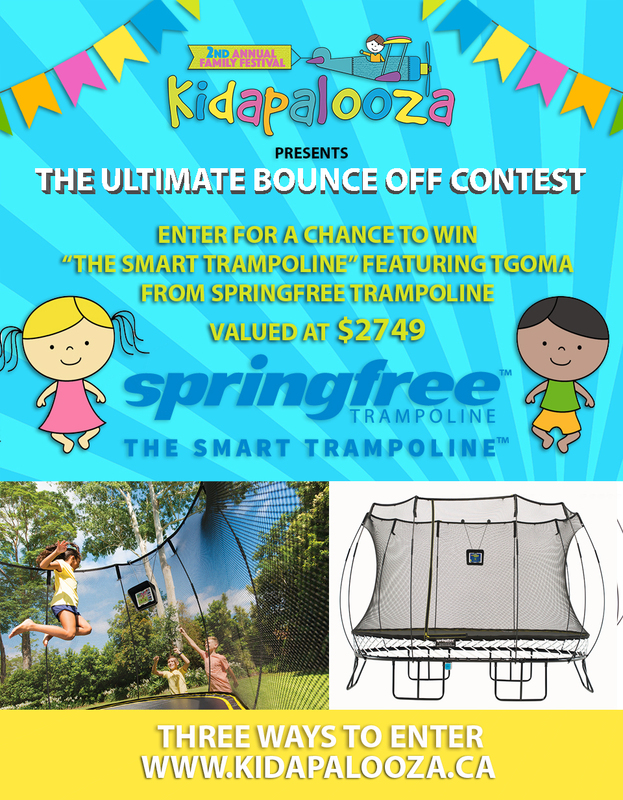 Springfree Trampoline Zone: burn off some of that extra energy! 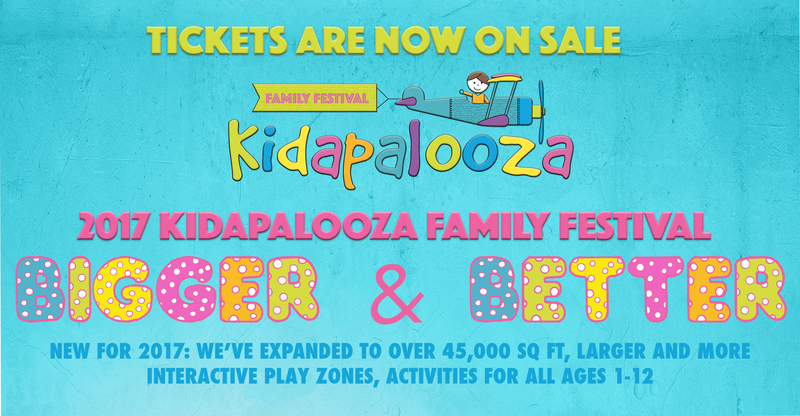 For more information or to buy tickets, head over to Kidapalooza’s website, Facebook, or Instagram. Now, YOU have the chance to WIN! 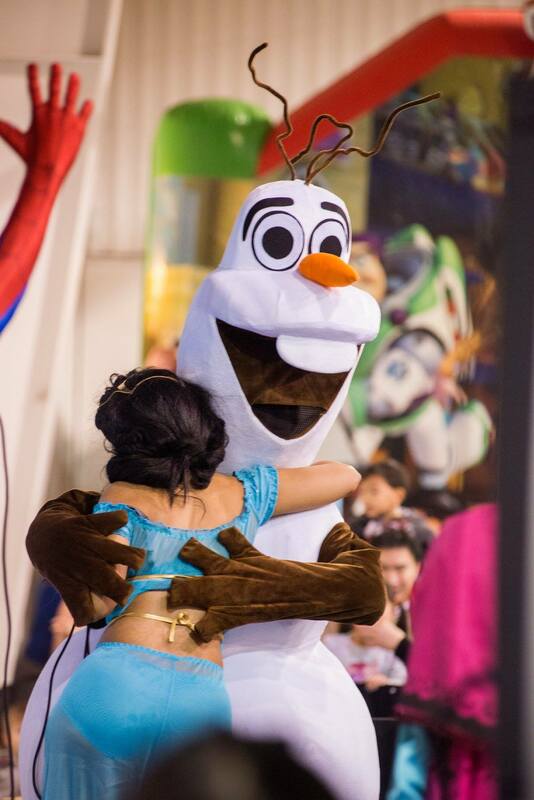 Do you want a chance to join in on the fun at Kidapalooza? I’m giving away a Family Four Pack (2 adults and 2 child passes) to one lucky winner! Pop over to my Facebook page to enter! Contest closes February 9, 2017 at midnight. This entry was posted in Giveaways, Kids, Things To Do and tagged family fun, kidapalooza, things to do.